New year, new calendar! Sure, we could easily continue plugging events into our smartphones, but where’s the fun in that? Especially when so many stunning desk calendars exist. One particular beauty that might interest FB&C readers is E. M. Ginger’s annual labor of love, the 42-line calendar. Each iteration showcases digitized images culled from rare books, manuscripts, and photographs, all scrupulously rendered to permit deep contemplation while penning in daily activities. These calendars serve as a sort of calling card for Ginger and her company, 42-line, which specializes in hi-resolution digital photography services for libraries, institutions, and book collectors. Ginger’s name may be familiar; she was the founding editor of Adobe creator John Warnock’s Octavo Editions, where she developed and directed the publication of rare books like Shakespeare’s Poems and Galileo’s Sidereus Nuncius. The great difference between Octavo’s digital editions and e-books comes down to the reproducion values. Through a book published by Octavo, anyone, anywhere with access to a computer could interact with literary treasures otherwise inaccessible to the general public. (More to come on Ginger in a story for the forthcoming print issue.) 42-line builds off of Ginger’s experience at Octavo, but for a more select clientele. Back to the calendar. During a visit to her Oakland, California, studio, Ginger said she picks themes for her calendars based on what catches her interest at the moment. This year, she plucked images from the University of San Francisco’s Gleeson LIbrary. January opens with a detailed linocut of the Golden Gate Bridge by Mallette Dean, followed by engravings by Gerard de Jode and Albrecht Durer. The 42-line calendar is $20 and may be purchased here. With the acquisition of the Geoffrey Day Collection, Penn Libraries reports that it “now houses the best collection of material relating to 18th century British novelist Laurence Sterne and his works in the western hemisphere.” According to a Penn Libraries statement, Day amassed an incredible collection that includes three copies of the rare York-printed first edition of volumes one and two of Tristram Shandy and the only known copy of a completely spurious edition of volume nine, published clandestinely in 1767. From Tristram Shandy, vol. 3, first edition, London, 1761. From Tristram Shandy, vol. 3, German edition (Hanau), 1776. From Tristram Shandy, vols. 3-4, Vienna, 1798. 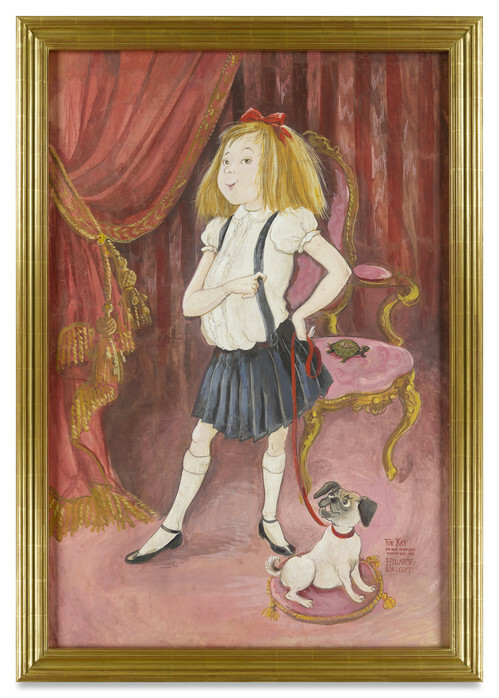 Among the items up for auction during Bonhams Fine Books and Manuscripts Sale on December 5 was an original oil portrait of classic children’s book character Eloise. 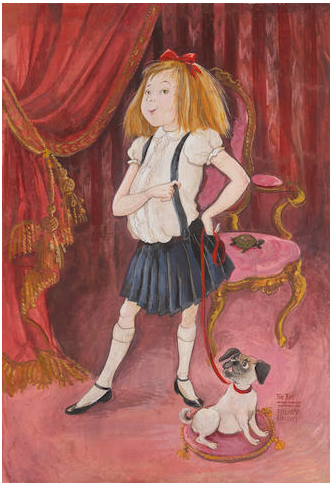 The painting, which hung in the lobby of the Plaza Hotel (where Eloise made all sorts of mischief in her “pink pink pink” room), was originally a birthday gift from illustrator Hilary Knight to the book’s author, Kay Thompson. This particular portrait had a series of its own adventures before finding its way to Bonhams where it fetched $100,000. After receiving the gift from Knight in 1956, Thompson appeared on CBS’s Person to Person along with the portrait, after which she lent the piece to the Plaza Hotel. The 59-by-42-inch painting remained in the hotel lobby for four years, until the evening of the Junior League Ball on November 23,1960. When, it is presumed, out-of-control New York debutantes pulled an Eloise-like prank of their own and purloined the portrait. Such was the scandal that even Walter Cronkite announced, “Eloise kidnapped!” on the evening news. Though devastating for Knight, the publicity dedicated to the heist was impressive. As the story goes, the painting turned up in a dumpster a few years later having only sustained minor damage but missing its frame. By then Knight had already replaced the portrait with another one which can still be seen in the Plaza lobby. In Sam Irvin’s 2010 biography, Kay Thompson: From Funny Face to Eloise, Knight was asked why he never had the original rehung. “It’s a little embarrassing,” Knight said. “Because the thieves were after the frame, not my artwork. And frankly, I made the first portrait for Kay, never imagining it would be on permanent display at the Plaza. I never really liked it--I did it in a rush--so I was not unhappy when it disappeared.” (There was even unsubstantiated speculation that perhaps Thompson had orchestrated the painting’s disappearance to generate publicity for the book.) After recovering the painting, Knight rolled it up and stashed it away in his closet, where it remained, forgotten, for fifty years, until he and New York Historical Society curator Jane Curley found it for that museum’s 2017 exhibition dedicated to Eloise. 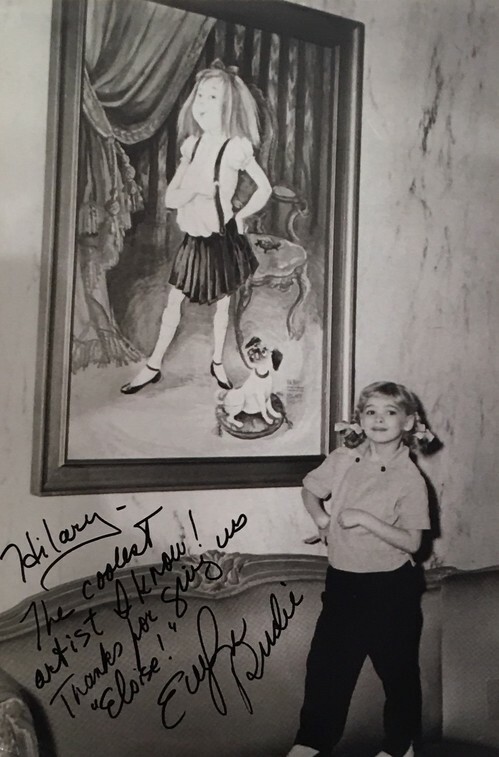 The portrait was sold along with a photograph of Evelyn Rudie, a child actress who portrayed Eloise on a 1956 episode of Playhouse 90. The sequel to the 1964 Mary Poppins film that fans have been waiting more than half a century for is finally here, debuting in theaters across the U.S. this week. (I’ve seen it; it’s fabulous.) Even better, it brings author P. L. Travers back into the spotlight. In a CBS Sunday Morning segment this past Sunday, the actress Emily Blunt, who portrays the spappy English nanny in Mary Poppins Returns, takes a trip to the New York Public Library to examine the first American edition of the novel, as well as some of Travers’ mementoes, including her typewriter, a doll, and her parrot-headed umbrella. A first edition also came up for sale very recently. 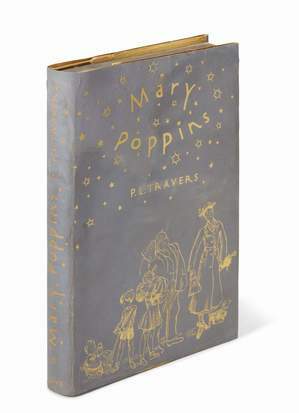 In an online sale of English literature and children’s books at Sotheby’s that closed on December 10, Travers’ Mary Poppins (1934) in its pictorial dust jacket sold for £2,750 ($3,450). Incidentally, a presentation first edition of the sequel, titled Mary Poppins Comes Back (not Mary Poppins Returns), published in 1935, sold for slightly less at £2,500 ($3,140). Travers inscriptions are quite rare. 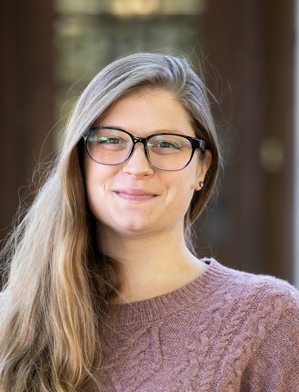 Our Bright Young Librarians series continues today with Beth Jarret, head of acquisitions at the American Antiquarian Society. What is your role at your institution? I’m the newly minted Head of Acquisitions at the American Antiquarian Society. I work with the five departmental curators (Books, Children’s Literature, Graphic Arts, Manuscripts, & Newspapers/Periodicals) to bring materials into the building and make them available for use. The acquisitions office is the first stop for any purchase or donation of collection material that comes to the Society. Once materials have received curatorial clearance to be added to the collection, I assign funds to them and the acquisitions team makes sure each item has been paid for, or acknowledged if it is a gift, and has a brief catalog record and accession markings before it leaves the acquisition work room. How did you get started in special collections? I have always been a library enthusiast. As an undergraduate, I applied to the university library through work-study and I was assigned a position in the archives. This was my first real inner-workings introduction, though my assignments were primarily assisting and supervising visitors, and digitizing. Initially, I thought I wanted to pursue a career in museums or possibly archaeology. But an internship at N-YHS the summer before my senior year, where all my bosses held library degrees, and a stint at archaeological field school (just to rule it out) set me on my current path. Where did you earn your MLS/advanced degree? I earned an M.L.I.S. from the University of Rhode Island in 2011 and completed an MS in Non-profit management from Worcester State University in 2018. Favorite rare book / ephemera that you’ve handled? What do you personally collect? I keep it close to home and collect library rules and regulations, especially from around the turn of the 20th century when the public library was really expanding across the country (largely fueled and funded by Andrew Carnegie). I also collect copies of Harry Potter and the Philosopher’s/Sorcerer’s stone in various languages and bindings. What excites you about special collections librarianship? At a place like AAS, every day is interesting and unexpected. It’s hard not to spend too much time reading materials when I should be cataloging them. When something amusing, exciting or interesting comes across my desk, I can’t help but announce it to whoever else is in the room. This is something we all do. It is reflective of the culture of sharing that is prevalent at AAS and that I am quite fond of. As items move through the acquisitions process they are discussed and speculated about. With surprising frequency, that discussion makes its way out to the reading room, connecting researchers with materials before they are even fully processed. It sounds romantic and romanticized, but that is often how it happens. There is this palpable sentiment from entire library staff (from catalogers, to curators, to reader services) that when we have knowledge or an idea that might help a reader, we want to share it with them. I think it is that way in a lot of libraries but it can be especially important in special collections, where things may not be fully, or individually, cataloged and the familiarity and expertise of staff are incredibly valuable. 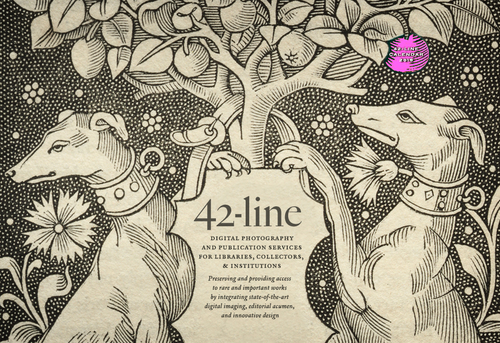 Thoughts on the future of special collections librarianship? I think a lot of institutions, AAS included, are reconsidering how they interact with the public and the local community. Special collections can sometimes feel closed-off or mysterious, even to their nearest geographical neighbors. “Special” can suggest it is not only the materials, but also the researcher or visitor who needs to be special in order to use the collections, or that things are “off-limits” in some way. I am of the opinion that special collections shouldn’t require special permission. At AAS we are nearing the end of a construction project that includes a multipurpose space we are calling a Learning Lab that will allow us to bring in school groups and better enable us to share our resources with a wide variety of people in a controlled environment. The building we occupy contains our shared history, culture and treasures. We have a vast array of materials and the more people who make use of them the better. I know that it is not always practical from a conservation perspective and digitization can be a great asset but I hope that, for as long as possible, all sorts of people of all different ages, backgrounds and experiences get a chance to work with the primary sources housed here at AAS. Any unusual or interesting collection at your library you’d like to draw our attention to? We have over 15,000 almanacs printed from 1656 through 1876 in the United States, Caribbean, Canada, and Mexico. This comprises about three-quarters of all the almanacs published in North America during this period. Almanacs may not sound very exciting, but they contain a wealth of information and the comic ones can be quite amusing. Besides the expected calendar, these almanacs often included poetry, astrological and agricultural details as well as jokes, which reveals quite a bit about the culture at the time. Many were also filled with handwritten notations detailing daily life; making them fantastic resources. What may be surprising to many people, given that AAS is an institution in Worcester, Massachusetts, is that we have one of the most robust collections of Hawaiiana outside of the Hawaiian Islands. The collection includes some of the earliest engravings printed in Hawaii, newspapers and over 200 books and pamphlets written in Hawaiian and other Polynesian languages. We also have approximately 300 titles printed on the islands themselves between 1822 and 1876, including a copy of the earliest printed pamphlet, The Alphabet, printed in O’ahu on the Mission Press in January 1822. Lastly, the American Antiquarian Society is best known as a resource for the printed word, but we also have an extensive manuscript collection. This collection’s strength is in its early New England family papers, business records, diaries, account books and especially book trades. Any upcoming exhibitions at your library? When Daniel Ryan was just a freshman at a Connecticut boarding school, his English teacher gave him a copy of A Christmas Carol as he headed home for the holidays. It was a gift that ignited not only an interest in Charles Dickens, but a desire to collect. 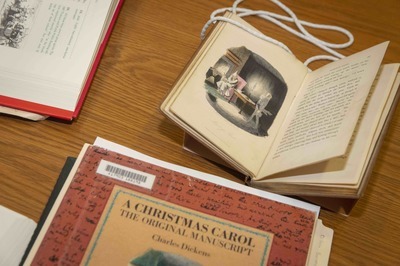 Sixty-five years later, having assembled an extraordinary collection of Dickens’ books, manuscripts, and original art, Ryan is paying it forward by donating it to Worcester Polytechnic Institute (WPI) in Worcester, Massachusetts. The collection complements WPI’s Robert D. Fellman Dickens Collection. After high school, Ryan attended Yale University and then spent his career in the oil industry. All the while, he was adding to his collection. When, a few years ago, he acquired an unusual document signed by all of Charles Dickens’ living children, his research led him to WPI, where he learned about the Fellman collection, which had been donated to the school in 1995. Fellman, like Ryan, had been inspired to collect after a fateful encounter with The Posthumous Papers of the Pickwick Club as a teen. When the Ryans visited WPI, they were struck not only by the Fellman collection, but by the way the university has incorporated the use of this special collection into its curriculum. Brattin teaches two seminars on Dickens’ works, during which his students take a hands-on approach to the rare material. 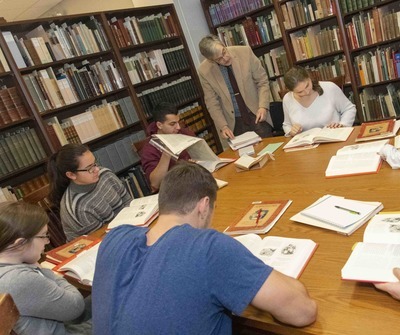 In his fall 2018 course on A Christmas Carol, students examined a first edition (pictured above) while discussing the book’s history and reception. Brattin noted that Ryan was “glad to see that WPI is a hands-on kind of place, and that our students will have many opportunities to interact with and use the collection in classes, in project work, and, frankly, in ways that we probably can’t even begin to envision right now.” There’s an opportunity to serve an ever wider audience, which the university has already begun to do by digitizing Dickens’ novels in their original, serial editions through Project Boz. A special exhibit with associated programming at WPI’s Gordon Library is planned to celebrate the Ryans’ gift in 2020, the 150th anniversary of Dickens’ death in 1870. As things settle down in the auction world over the holiday period, here’s a quick check on last week’s action and the few upcoming sales. The Valuable Books and Manuscripts sale at Christie’s London last week realized a total of £3,879,250, with Adam Smith’s copy of his Wealth of Nations leading the way at £908,750. I haven’t yet been able to find full results from the fourth sale of books from the library of Pierre Bergé, held on December 14, but media reports indicate that the copy of Proust’s Du côté de chez Swann, inscribed to Lucien Daudet, sold for 1.51 million Euros, setting a new auction record for a French book. Looking ahead, Bonhams London sells Prints and Multiples on Tuesday, December 18, in 168 lots. Rating the top estimate, at £70,000-100,000, is Goya’s suite of eighty etchings “Los Desastres de la Guerra.” Goya’s eighteen-etching series “Los Proverbios” is estimated at £30,000-50,000, as are Andy Warhol’s 1983 screenprint of Ingrid Bergman, “The Nun” and Francis Bacon’s 1971 lithograph “Étude por una corrida.” An etched sheet of Rembrandt studies, including a self-portrait (pictured below), could fetch £15,000-25,000. Sotheby’s New York sells Important Judaica, including a Distinguished Private Collection, on Wednesday, December 19, in 226 lots. A seventeenth-century painting of worshippers at an Italian synagogue is estimated at $250,000-300,000, while the only known kabbalistic manuscript with autograph comments by Rabbi Jonathan Eibeschuetz could sell for $250,000-350,000. A thirteenth-century Torah scroll from Spain, believed to be the second oldest recorded Sephardic Torah scroll, is estimated at $200,000-300,000. On Thursday, December 20, PBA Galleries holds a Mid-Winter Miscellany auction, in 381 lots. A real hodge-podge, and well worth a browse no matter what areas you collect. Lots 190 through 377 are being sold without reserve, too, so there may well be some bargains to be had. 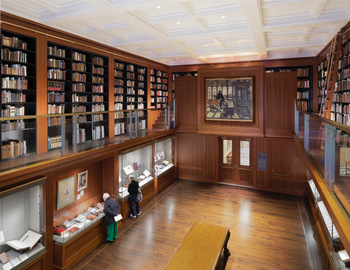 Today, the country’s oldest and largest bibliophilic society, the New York-based Grolier Club, will unveil the fruits of a three-and-a-half-year, $5-million renovation of the organization’s entire first floor and exhibition hall with, appropriately, a show highlighting the club’s Francophile roots. 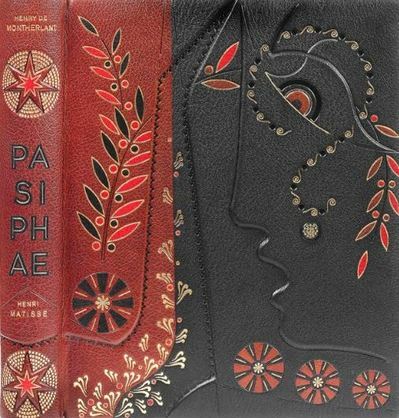 French Book Arts: Manuscripts, Books, Bindings, Prints, and Documents, 12th-21st Century includes nearly one hundred items pulled from the Grolier’s rich trove of French books and illuminated manuscripts. Also in the show are six items that once hailed from the collection of the “Prince of Bibliophiles” and club namesake, Jean Grolier (1489-1565). The exhibition and accompanying book were curated and written by Grolier Club member George Fletcher. A member since 1973, Fletcher’s lifelong love of books led him to the Morgan Library as the Astor Curator of printed books and bindings, followed by a position as director of special collections at the NYPL. In 2013, Fletcher was bestowed with the title of Chevalier dans l’Ordre des Arts et des Lettres by the French government. “As the inaugural exhibition in our new gallery, this is the first that presents a survey of so many areas of French bibliophilia, going back to illuminated manuscripts to contemporary livres d’artistes,” Fletcher explained during a press tour. Expect to see sumptuous illuminated Books of Hours, miniatures by Boyvin, a letter by a distraught Thomas Jefferson to a French bookseller concerning a shipment of waterlogged books, and decorative bindings hailing from the 14th to the 21st centuries. As to the renovation: it’s a complete overhaul. Previously, the first floor exhibition hall was awash in mauve-toned walls, light wood flooring, and track lighting (see below). Standard-issue glass cases lined the walls while the back of the hall was dominated by a faux-Palladian window, also mauve. The upper balcony, where many of the Grolier Club’s treasures are stored, was flanked by white solid-wood railings. With a client portfolio that includes renovations at places like the New England Conservatory of Music and Boston Symphony Hall, Ann Beha Associates of Boston took up the challenge to update the aesthetics of the space while also addressing conservation issues, lighting, ventilation, and sound systems. 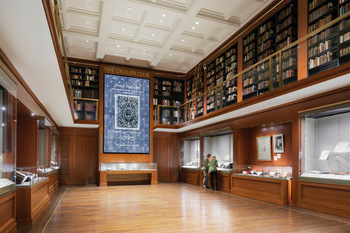 “The Grolier Club put together a nine-member design team task force, and together we examined various issues while also keeping in mind the club’s history and stewardship of collections,” explained Ann Beha at the press preview. “Part of the preparation included hopping in a van and visiting other institutions throughout New York that had also recently undergone renovations, such as the Brooklyn Museum and the Cooper-Hewitt.” Staying true to the Grolier Club’s roots was essential. “The Club prides itself on welcoming the public to free exhibitions and various programs, and this renovation took that into consideration. This design incorporates heritage and technology, welcomes new visitors and promotes scholarship and engagement,” Beha said. 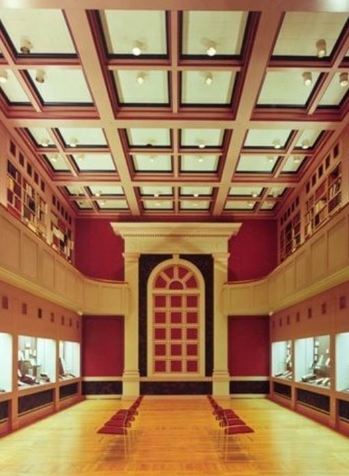 Now, the exhibition hall features custom-built Goppion glass cases lit by LED bulbs, a properly balanced ventilation system, and mahogany-stained floors and wall panels. Gone is the mauve Palladian faux paneling in favor of a multi-paneled video wall, and the wood paneling on the upper balcony has been replaced with glass, allowing visitors on the ground level to fully appreciate the impressive surroundings. Plus, the Grolier’s 60th Street townhouse is handicapped accessible. The hall feels more open and inviting, yet still suffused with the tradition and history of the space. In short: Beha seems to have hit a home run. The club invited members earlier this week to tour the hall before it opens to the public as well as to listen to a lecture given on Wednesday night by Carla Hayden, the current Librarian of Congress. Just as Jean Grolier was known to share his library and its treasures with friends, the public is welcome to revel in the richness of human ingenuity and talent and the newly redesigned hall, too. As an added incentive, Mr. Fletcher will be offering free lunchtime tours of the exhibition today, December 19, and February 1, all from 1-2 p.m. No reservations needed. Images, from top: Matisse in a Brugalla Binding Henry de Montherlant. Pasiphaé: Chant de Minos (les Crétois) Gravures originales by Henri Matisse Paris: Martin Fabiani, 1944; Homer. Opera (Greek). 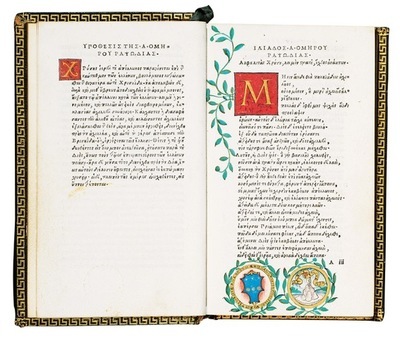 Two volumes Venice: Aldus Manutius, after 31 October 1504. 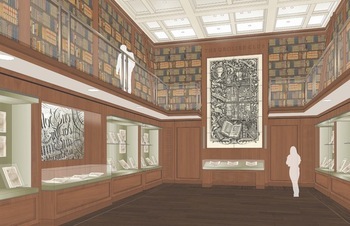 Both Collection of The Grolier Club and reproduced with permssion; Grolier Club Exhibition Hall pre-renovation reproduced with permission of Grolier Club; Renovation rendering reproduced with permission of Ann Beha and Grolier Club. Images of renovated space, credit: Michael Moran. From January 7-18, Londoners will have the chance to see a selection of books and rarities not often in public view in an exhibition titled Voyages: a Journey in Books from Eton College Library. Hosted by Bonhams Knightsbridge and supported by Martin Randall Travel, an agency that specializes in cultural travel, the free display of eighty items focuses on far-flung locales and how people perceived the world beyond their doorsteps. “Voyages draws on the college’s phenomenal holdings of manuscripts, printed books and literary archives to explore historical travels. It reflects on travel not just as a physical experience but also as an act of the imagination,” said Matthew Haley, head of books and manuscripts at Bonhams. Other exhibition highlights include: a fifteenth-century manuscript in Greek of Homer’s Odyssey, which belonged to the uncle of Italian navigator Amerigo Vespucci; A voyage round the world by the first Frenchman to circumnavigate the globe, Louis-Antoine de Bougainville; A voyage towards the South Pole, and around the world (1777) by Captain Cook; a late sixteenth-century Portolan chart made in Naples by Vincentius Demetrius Voltius of Dubrovnik, one of only twenty such charts by Voltius known to have survived; and Daniel Defoe’s The life and strange surprizing adventures of Robinson Crusoe of York. I am the Engagement Consultant for the Southern Tier Library System in Painted Post, New York. If you’re unfamiliar with the vast, unknown, Upstate part of New York, Painted Post is a small town next to Corning, which is a slightly larger small town, located south of the Finger Lakes. The Southern Tier Library System (STLS) is a cooperative library system made up of 48 public library outlets, across five counties in the Southern Tier region. In my role as the Engagement Consultant, I oversee digital collections and resources for the system, assist libraries with annual reports to the state and website development, manage social media, public relations, and marketing, and create workshops and continuing education opportunities for member library staff. After reading that description, you might wonder how I’ve come to be associated with the world of rare books and special collections. My response is twofold. First, while my current position isn’t rooted in special collections, I do assist our member libraries with handling historical collections, digitization, and donations of special collections materials. Second, my education and prior library experience are in special collections. In a short time, I’ve held several positions. 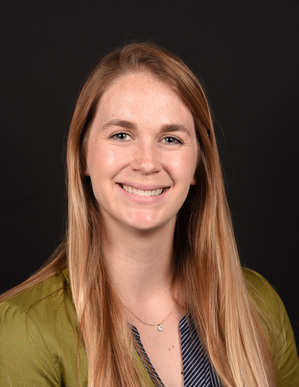 Prior to STLS, I was the Scholarly Engagement Librarian at Indiana University, and before that, I held a variety of positions at the Lilly Library in both public services and conservation. I am also occasionally an assistant to antiquarian bookseller Paul Dowling of Liber Antiquus, and I devote a not-inconsequential amount of time to work on RBMS committees. 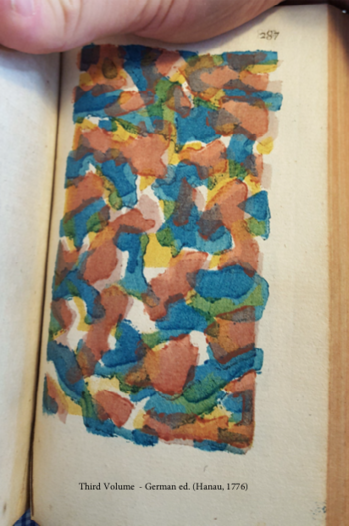 How did you get started in rare books? Like many others interviewed before me, my introduction to and subsequent involvement in the world of special collections was slow to develop and fairly circuitous. I began my college education at Indiana University as a journalism major, switched to psychology, added English and creative writing, some Spanish, and I still had no idea that an incredible special collections library (the Lilly Library) was housed in a building that I walked past every day. Even further from my realm of understanding was that those items housed in the Lilly could help me advance my studies and that many would one day become objects of fascination for me. During my junior year, I took a class on American poetry, and finally the introduction was made. I was lucky to have a professor, Christoph Irmscher, who recognized the importance of familiarizing his students with special collections repositories and the items held within them. As a class, we visited the Lilly Library several times throughout the semester to work with special collections materials. In doing so, we were introduced to the Plath manuscripts, Poe’s Tamerlane and Other Poems (the Lilly has one of 12 surviving copies), and Whitman’s many editions of Leaves of Grass. To conclude the course, I wrote a paper comparing seven editions of Leaves of Grass, and for the first time, I began to consider using special collections materials as tools for understanding authorship and readership. In Whitman’s works, I encountered marginalia, differences in the typesetting and cover design, and saw the way Whitman evolved as a poet and printer. 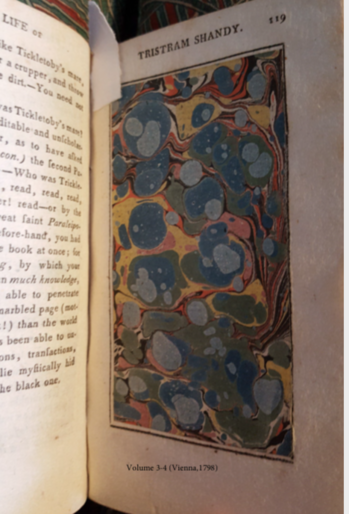 This course piqued my interest in rare books, and I spent the following summer at the Watkinson Library at Trinity College in Hartford, Connecticut. As an intern there, I modified catalogue records for 207 volumes by Lydia H. Sigourney (a 19th-century American poet). 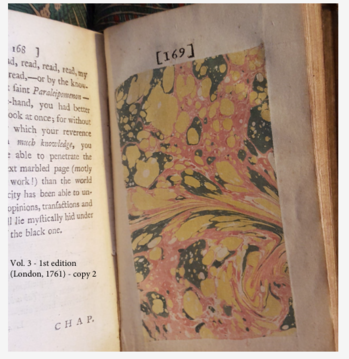 I found ephemera and marginalia between the pages of her texts, and the experience solidified my decision to pursue a degree in library science with a specialization in rare books and special collections. I received both my MLS with the Rare Books and Special Collections Specialization and my MA in English from Indiana University, in Bloomington, Indiana. Forgive me while I digress. In eighth grade, my English teacher asked us to memorize and recite for the class one of three poems: “O Captain! My Captain!” by Whitman, “The Raven” by Poe, and a third poem, which I can’t recall. I chose “The Raven.” The assignment sparked my interest in poetry, and from there, I pursued creative writing. My commitment to writing ebbed and flowed, but I did ultimately complete an undergraduate degree in creative writing with a focus on poetry. Because of this, Poe, and especially “The Raven,” has always had a special place in my heart, and there’s something about Édouard Manet’s illustrations for Stephane Mallarmé’s translation, “Le Corbeau,” that really speak to me. Now, back to the topic at hand. In November at the Boston Antiquarian Book Fair, bookseller Benjamin Spademan had a copy of “Le Corbeau,” and for the first time, I got to see Manet’s rendering of the raven, in print (not a reproduction) and full scale. It was lovely. I’ve also handled Poe’s hair; two locks are held at the Lilly Library, one of which is encased in a broach - hair in special collections is weird, but cool. The Lilly also has an interesting collection of materials on early bicycling. I helped process the collection when it came in, and some of my favorite items depicted “women awheel.” I particularly enjoyed learning about the transition in women’s clothing from full skirts to bloomers to accommodate bicycling and the controversies that ensued. I have a small, eclectic collection. 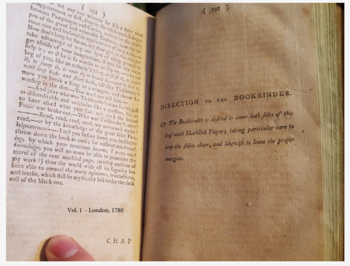 Some discernable categories include: children’s books, especially with marginalia or interesting illustrations; small press books, particularly those written and printed by friends; exhibition catalogues; and books about books and printing. The remaining space on my shelves is occupied by books I purchased for my graduate courses, including works by Sidney Berger, Bamber Gascoigne, Philip Gaskell, and Thomas Tanselle. Outside of work, I like to be outside. My recent (just over a year ago) move to Upstate New York has been fantastic for this. Beautiful lakes, waterfalls, nature preserves, and parks abound here. In addition to hiking my way through that list, I spend winters downhill skiing. Fortunately, there are infinitely more places to do that here, as compared to Indiana. I also play Ultimate (Frisbee) several times a week, which I enjoy immensely. What excites you about rare book librarianship? Marginalia! There’s such an intimate quality to handwriting, and I rarely encounter it in my daily work life, where communication is largely conducted via email. Each time I find something written in the margins or pressed between the pages of a text, I feel excited and want to know more about who left it, why, and what it can tell me about contemporary readers. Outside of the text, it’s the relationships I’ve had the opportunity to build as part of the rare books and special collections community that excite me about rare book librarianship. The Rare Books and Manuscripts Section of ACRL has been the perfect professional home for me. Through my work on the Membership and Professional Development (M&PD) committee and on the RMBS Mentoring Program, I’ve met so many wonderful people who’ve been friends, mentors, supporters, encouragers, and advocates. M&PD was the first committee meeting I attended at an RBMS conference. Patrick Olson, my conference buddy at RBMS14, invited me to join. Even as a first-time conference attendee, I felt like I could speak up and share my thoughts at the table. Now, as co-chair of M&PD with Diane Dias De Fazio, I hope that we are able to cultivate the same welcoming atmosphere. Facilitating connections between my peers in special collections excites me most. My greatest professional pleasure and sense of achievement comes when I connect someone with a mentor and know that the relationship will be mutually beneficial. Thoughts on the future of special collections / rare book librarianship? I often find that people are surprised when I tell them that I’m a librarian, and then, confused when I mention special collections. I think the surprise is because they aren’t expecting the response of “librarian” in answer to the question “What do you do?” I guess because I don’t look like the default stereotypes of librarianship that they have stored away. After moving beyond the surprise, the other side of the conversation tends to turn to how libraries will soon be obsolete, don’t offer anything other than books, ebooks are taking over the world, and “Aren’t you worried about job security?” While I do enjoy reading post-apocalyptic fiction, and I believe my vigorous consumption of the genre has prepared me for success in such an environment, I do not believe that the death of print is imminent. In particular, special collections give me hope. These repositories go above and beyond in preserving history and helping users engage with items from our collective and shared past. Even the small, rural libraries that I work with in my current position are doing this work as they digitize collections of local newspapers and maintain local genealogy collections. There is a place for books and the printed word now, and there will continue to be. As things become increasingly digital, we’ll crave a return to what is natural and known. Since I’m not technically working in a library setting, this is a tough question, but it does give me the opportunity to brag about the STLS member libraries. Many of the libraries are situated in small, rural communities, and as you might imagine, they’ve become repositories for local history collections, newspapers, collections of arrowheads, and other miscellaneous medium-rare items. The libraries themselves are often located in buildings that are on the National Register of Historic Places. For example, the building that houses the Belmont Literary and Historical Society Free Library was built between 1893 and 1904. It is a triangular brick structure that features a three-story clock tower. The clock itself must be hand wound every week and is one of three in existence. Each of the libraries in our system is unique, and I love traveling to visit them. If you’re ever driving across the state, I highly recommend making a few detours to visit the local public libraries. With a nod to our current issue’s cover picturing author/illustrator Eric Carle and celebrating the forthcoming fiftieth anniversary of one of his most famous children’s picture books, The Very Hungry Caterpillar, it was welcome news to hear that collectors are on the same page. Last week at Swann Galleries, a hand-painted collage on board of the ravenous caterpillar, signed and framed, sold for $20,000, more than doubling the low estimate of $8,000. 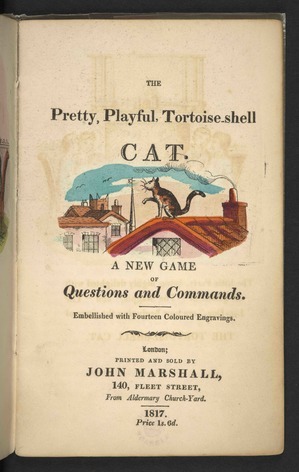 In recent years, a first edition of Caterpillar has sold in the range of $11,000-16,000. 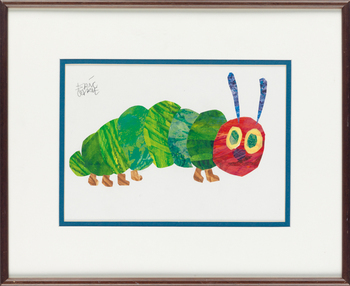 Carle’s Caterpillar, first published in 1969, is also the subject of a current exhibition at the Eric Carle Museum of Picture Book Art in Amherst, Massachusetts. It’s on view through March 24, 2019. Before we get to the very busy calendar of sales coming up this week, I must note a couple of the results from last week’s auction at Christie’s, which saw Einstein’s “God Letter” set a new auction record for an Einstein letter at $2,892,500, and a copy of Harry Potter and the Philosopher’s Stone capture the auction record for Harry Potter at $162,500. Ader holds a sale of Lettres et Manuscrits Autographes on Monday and Tuesday, December 10-11, in 716 lots over the two days. Expected to lead the first day’s sale are a Gaspare Spontini musical manuscript (€15,000-20,000) and a Paul Verlaine manuscript poem (€8,000-10,000). The second day’s offerings include a number of Karl Marx letters which rate the top estimates of the day. Bonhams London sells Entertainment Memorabilia on Tuesday, in 161 lots. Some of the printed and manuscript material on offer includes an Eric Clapton autograph copy of the first verse of the lyrics for “Layla” (£35,000-45,000) and a carbon copy of Ian Fleming’s second draft proposal for the first James Bond movie (£30,000-40,000). Also on Tuesday, Artcurial holds a Books & Manuscripts sale, in 293 lots. A copy of Roberts’ Holy Land rates the top estimate, at €20,000-25,000. An illuminated Book of Hours, produced around 1500 for the use of Bourges, could fetch €12,000-15,000. 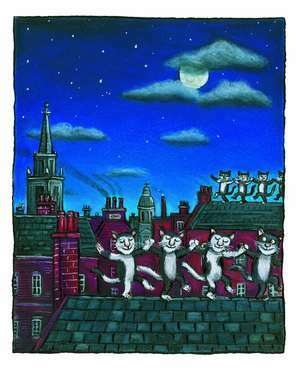 Dominic Winter Auctioneers will sell Printed Books & Maps; Children’s & Illustrated Books; 20th Century Literature on Wednesday, December 12, in 539 lots. The 1835 edition of William Curtis’ Flora Londinensis rates the top estimate, at £5,000-7,000. On Thursday, December 13, Dominic Winter holds a Modern Literature & First Editions sale, in 464 lots. 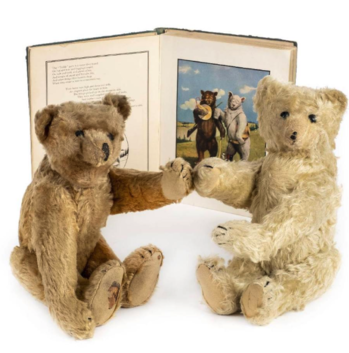 Rating the top estimate there are a pair of very early teddy bears (pictured above), with the original owner’s copy of the book The Roosevelt Bears, Their Travels and Adventures (£7,000-10,000). 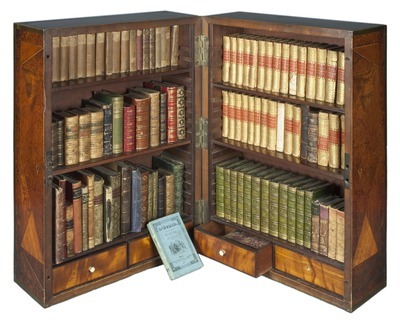 At Christie’s London on Wednesday, Valuable Books and Manuscripts, in 279 lots. Quite an array of excellent lots here! Adam Smith’s own copy of his Wealth of Nations, later owned by the great Smith collector Homer Vanderblue, is expected to sell for £500,000-800,000. A presentation copy of Karl Marx’s Das Kapital, inscribed to his cousin Nanette Philips, is estimated at £150,000-250,000. Also on the block will be two manuscript sledging journals from the 1910-1913 British Antarctic Expedition by Tryggve Gran (£120,000-180,000); the 1488 editio princeps of Homer (£100,000-150,000); a first edition Hypnerotomachia (£80,000-120,000); and an extremely rare copy of the Qing “Blue Map” of the world (£50,000-80,000). Swann Galleries sells Maps & Atlases, Natural History & Color Plate Books on Thursday, December 13, in 385 lots. A 1593 Cornelis De Jode polar-projection world map is expected the lead the sale at $15,000-20,000. A copy of the third octavo edition of Audubon’s Birds and the royal octavo Quadrupeds could fetch $20,000-30,000, and a chart of the mid-Atlantic coast from Des Barres’ Atlantic Neptune (1780) is estimated at $18,000-22,000. Also on Thursday, PBA Galleries holds a sale of Americana, Travel & Exploration, Hunting & Sporting, World History, and Cartography, in 573 lots, and Sotheby’s New York sells Fine Autograph Letters and Manuscripts from a Distinguished Private Collection: Part II | Music, Americana, English and Continental Literature, in 152 lots. A few of the many potential highlights from this sale include a collection of fourteen Giuseppe Verdi letters to impresario Alessandro Lanari ($100,000-150,000); a “lost” 1810 Beethoven letter to a friend asking for a boot-black recipe ($50,000-80,000); and a 1755 Benjamin Franklin letter to his friend James Wright about the Braddock expedition ($30,000-40,000). Rounding out the week, Sotheby’s Paris will sell books from the library of Pierre Bergé on Friday, December 14. A gentle reminder to all Ticknor Society members: next Tuesday, December 11 will be the annual Show and Tell meeting at 6 p.m. at Boston’s First Church at 66 Marlborough Street. The popular event serves as a venue for members to share their various and wide-ranging activities as collectors and conservators in the book world. On the docket is an impressive list of participants. Beth Carroll-Horrocks, a Ticknor Society member and head of Special Collections at the State Library of Massachusetts, plans to discuss her latest pursuit: pin cushion postcards. These early 20th century creations feature a raised, padded pin cushion often shaped to match the subject of the postcard at hand--a heart for Valentine’s Day or a wreath for Christmas. Meanwhile, Bromer Bookseller’s Philip C. Salmon will talk about his Seamus Heaney collection and how it has evolved into its present state. Society member Shannon Struble has a trove of Jane Eyre material to discuss, and in a nod to the festive time of the year, Thomas Harakal will give a talk on Charles Dalton’s “A Christmas Eve Family Story,” a volume designed by typographer Bruce Rogers and privately printed at Riverside Press in 1904 expressly for family members and friends. Book conservator Marie Oedel plans to share a trove of letters sent to her from a descendant of Anna Eliot Ticknor and the process of transcribing and conserving these delicate papers for future research opportunities. Finally, author and former professional ballerina Nancy Upper will talk about Diggins from many Ampersandhogs, a holiday keepsake published for members of the Typophiles club in 1936. Comprised of book collectors, booksellers, librarians, historians, and the run-of-the-mill bibliophile, the Ticknor Society (named in honor of Boston-based academic and bibliophile George Ticknor) strives to promote the joy that books bring. The breadth of presentations next week ably adhere’s to the Ticknor motto of “suum cuique” (to each is own) and will be well worth the trek into Boston for those able to make it. 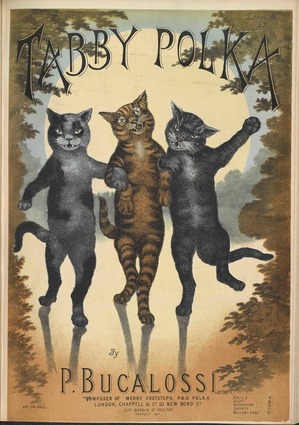 The British Library recently opened an exhibition with super meow-power: Cats on the Page, on view through March 17, presents an array of books, manuscripts, and artwork that features felines. Our Bright Young Booksellers series continues today with Mark Wiltshire, Associate Specialist in the Books & Manuscripts department at Christie’s in London. My first introduction to rare books came at university when I called one up from the stacks of the Bodleian Library. It was an 18th-century book of doggerel which I’d discovered down a rabbit-hole of research for an essay. I remember being surprised that it was handed over to me with very few questions asked; it seemed too precious to be let out of the librarian’s sight. Nowadays, I regularly handle books of greater rarity, age, and commercial value but that first sense of awe has stuck with me. Out of university, I was very lucky to be offered an internship with the Wordsworth Trust in Grasmere, where I had my first taste of cataloguing while working with the autograph letters of Thomas Bewick. Soon after, I began working with Robert Frew, the well-known dealer and past ABA president, based in South Kensington. It is to him that I owe my proper introduction to the world of rare books, its major characters, its written and unwritten rules, and the first stirrings of an instinct for a good book. I was then offered the incredible opportunity to join the Books and Manuscripts department at Christie’s, where I have been working for two years. What is your role at Christie’s? I am an Associate Specialist in printed books. My role encompasses various aspects of the auction process, from business-getting to catalogue and exhibition design, with a large amount of researching and cataloguing in between. I am privileged to handle an exceptionally wide variety of printed material but I have a particular focus on English Literature. What do you love about the auction business? Apart from the obvious excitement of sale day, the best thing about working in the auction business is the constant renewal of material. 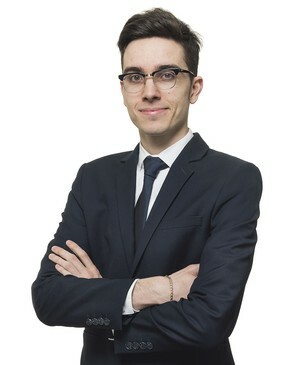 Holding numerous sales per year means that I am always working on something new and unusual, which I consider to be the best way of growing my expertise. Christie’s has such a wide range of specialist knowledge in over 60 specialist departments that the opportunities to learn about art and the art market seem endless. The auction business is seasonal, so my typical day will vary from month to month. Now, at the height of the auction season, my day typically revolves around meeting and messaging our clients, answering their questions, and generally showing off the lots on offer. At other times of the year, my focus will shift to traveling and visiting collections, to cataloguing, and so on. It’s one big cycle. Favourite rare book that you’ve handled? My favourite book that I’ve handled is actually being offered here in London on 12 December. It is John Clare’s copy of the first edition of John Keats’s Endymion: an extraordinary association copy linking two of the great English poets. As somebody with an academic background in the Romantic poets, the discovery of this book was just thrilling. Bound in full crushed-morocco by the Doves Bindery, it is, to quote the poem’s opening line, ‘a thing of beauty’. The problem with working at Christie’s is that I’ve cultivated a taste that far exceeds my means. So, for the moment, I’m content with helping to grow other collections rather than building my own. I like to spend time exploring the city with my partner Alanna. I’ve lived in London my whole life but there is still so much of it left to know. Like the auction world, London offers a constant sense of renewal. We read a lot, especially poetry, and I write occasionally too. Supporting Tottenham Hotspur also occupies more time and energy than I care to admit. Thoughts on the present state and/or future of the rare book trade? The market seems to be in very good health and collectors are collecting enthusiastically. In the future, I hope and expect to see the growth of new markets focusing on hitherto neglected materials that can be rightly celebrated for their cultural importance, beauty, and rarity. There is a strong group of intelligent and innovative young booksellers in the UK, many of whom work with established dealers and auction houses, while some have set up their own enterprises. While I cannot predict the future, I am confident that the trade will be led very ably in the years to come. Any upcoming sales you’re particularly excited about? Our Valuable Books and Manuscripts sale on 12 December includes some astonishingly good lots. I’m thinking in particular about Adam Smith’s own copy of the Wealth of Nations (est. £500,000-800,000), a presentation copy of the first edition of Karl Marx’s Das Kapital (est. £150,000-250,000) and the two autograph sledging journals of Tryggve Gran (est. £120,000-180,000), an extremely important piece of Polar history. Much like the Voynich Manuscript, the purportedly fifteenth-century Vinland Map continues to be a subject of study and debate in the rare book world. Earlier this year, the map underwent multispectral imaging at Yale University (its owner) and was the focus of an exhibition called Science, Myth, and Mystery: The Vinland Map Saga at the Mystic Seaport Museum. 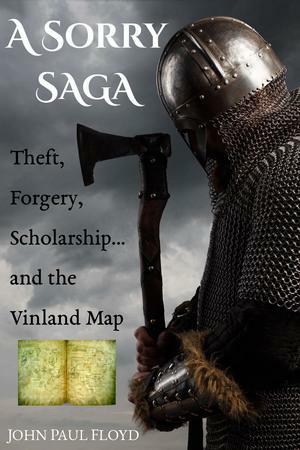 Now, Scottish researcher John Paul Floyd has published a book, A Sorry Saga, that offers tantalizing new details about the role theft and forgery played in the map’s history. We asked him about it. Briefly describe the Vinland Map for our readers. It’s a medieval-style map of the world, which depicts North America as an island named Vinland. When Yale University announced the map’s existence in a 1965 book, it created a sensation. Experts claimed that the map had been drawn around 1440: over fifty years before Columbus set sail. Latin inscriptions on the parchment linked the map to Norse explorations made around the year 1000 (voyages already known to scholars from ancient Icelandic records). The Yale book sparked a heated debate over who deserved the credit for “discovering” America, and the map’s authenticity was challenged. The verdict of scientific tests of the ink in 1974 seemed damning: Yale had to concede that the map might be a forgery. But in the 1980s other scientists, using different techniques, called the earlier results into question, and in 1996 a second edition of the Yale book hit the press. 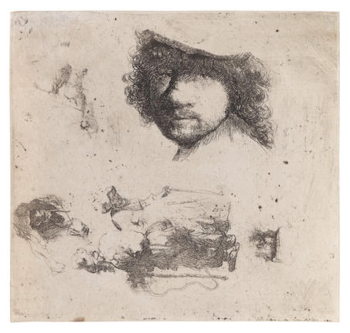 Other studies followed, reaffirming forgery, and the debate grew very confused. Why did you find its story so appealing? And how long have you been researching it? Back in 2011 I came across a 1971 book of conference proceedings which caught my attention and led me to investigate further. I read about how the map had emerged onto the antiquarian bookselling scene in 1957, in association with two genuine medieval manuscripts: the “Tartar Relation” of C. de Bridia (an unknown friar), and a fragment of the Speculum historiale of Vincent of Beauvais. Clearly these two manuscripts must have had some prior history, whether the Vinland Map was authentic or not: yet in 2011 their pre-1957 provenance was as much shrouded in mystery as the map itself. So I began a casual search for “C. de Bridia” online. Within a few hours I came across a Spanish exhibition catalogue from 1893, proving that both documents had formerly belonged to Zaragoza Cathedral Library (significantly, the catalogue description makes no mention of a map). That evening, so far as I could tell, I was the only person in the world who knew about this connection. It was an exciting moment! Book and manuscript theft, particularly from the Zaragoza Cathedral Library in the 1950s, plays a larger role in all this than previously thought. Can you tell us a bit about that? The reason the Zaragoza connection is so important is that the man who “found” the Vinland Map -- an Italian book dealer by the name of Enzo Ferrajoli -- was convicted of stealing books and manuscripts from Zaragoza Cathedral Library. The Vinland Map can’t be traced beyond Ferrajoli’s ownership (perhaps for good reason), but the manuscripts associated with the map came from that library. The Zaragoza affair is one of the great forgotten scandals of twentieth-century bookselling; hundreds of valuable stolen items were smuggled from Spain and found their way into institutional collections (not all of which, sad to say, acted with propriety at the time). The Vinland Map story cannot be properly understood without a proper understanding of this context. Was untangling that part of the story the impetus for your book? Yes, in part. There is no detailed narrative in English of the Zaragoza affair, so I’ve done my best to remedy the situation using archival documentation as well as published sources. I’m not in any sense a manuscript scholar, but I have been able to identify for the first time the Zaragozan provenance of a number of items in present-day collections. However, my main aim in writing was to vindicate one of the main persons suspected of forging the map (the cartographer Father Josef Fischer), and to present a new, compelling argument against its authenticity. I believe the creator of the Vinland Map made a fatal blunder, in copying details from an eighteenth-century engraving by Vincenzio Formaleoni (1752-1797). The mapmaker’s dependence upon Formaleoni is, to my mind, very obvious; interested readers can look at the images in my book, and decide for themselves. It is a simple, basic discovery; one which decisively settles the forgery issue without the need for scientific analysis -- yet it somehow escaped the experts for half a century! Regarding the multispectral imaging and analysis by Yale earlier this year: what did that contribute to the saga of the Vinland Map? I’m impressed by the thoroughness of the Yale scientific team’s investigation, and look forward to the final publication of their research. There was an interesting preliminary presentation at a recent symposium on the map, which can be found on YouTube. I shall have to revise the scientific chapter of my book to take account of the new studies, but there’s one finding in particular that I am very pleased about. In my book, I discussed a puzzling inscription on the back of the map at some length, and concluded that it was half-fake and half-genuine. When a slide appeared on the screen at the symposium substantiating my prediction, I pretty much leapt in the air. Tell us about yourself: an independent historian? collector? On Tuesday, December 4, Sotheby’s London holds a sale of Music, Medieval and Renaissance Manuscripts, and Continental Books, in 323 lots. A copy of the 1535 Nuremberg edition of Witelo’s treatise on perspective, Id est de natura, in a contemporary roll-tooled binding, is expected to fetch £60,000-80,000. Two miniatures by the Master of the Houghton Miniatures, “King David in Penitence” and “The Coronation of the Virgin” are each estimated at £50,000-70,000, as are manuscripts by Brahms and Schubert. A manuscript book of hours, use of Sarum, produced in the southern Netherlands around the 1470s and later in the Rothschild library, is estimated at £40,000-60,000. Also on Tuesday, Christie’s New York will sell Albert Einstein’s “God Letter,” estimated at $1-1.5 million, as well as Fine Printed Books & Manuscripts Including Americana, in 222 lots. A copy of the Stone Declaration of Independence facsimile on parchment rates the high estimate there, at $600,000-800,000. 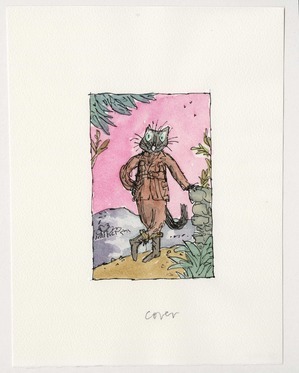 An original 1976 watercolor drawing by Maurice Sendak, “A Wild Thing Christmas,” could fetch $300,000-400,000. A Latin Nuremberg Chronicle with early hand-coloring and illumination is estimated at $250,000-300,000. Many, many more high spots to watch in this sale, too. And one more on Tuesday: Western and Oriental Manuscripts and Miniatures at Bloomsbury Auctions. At Bonhams New York on Wednesday, December 5, Fine Books and Manuscripts including the World of Hilary Knight, in 303 lots. The original Park Plaza Hotel portrait of Eloise (pictured below) is estimated at $100,000-150,000, as is Glenn Gould’s annotated copy of Bach’s Goldberg Variations. A great deal here for any Hilary Knight collector. Later at Bonhams, History of Science and Technology, including Space History, in 658 lots. Highlights are expected to include a working Apple-1 computer ($250,000-350,000), an Albert Einstein manuscript ($150,000-200,000); and a collection of Kurt Gödel correspondence sent to Dr. Martin Davis ($40,000-60,000). University Archives sells Rare Autographs, Books, and Relics on Wednesday, in 283 lots. A flag believed to have been flying on JFK’s limousine at the time of the president’s assassination is estimated at $60,000-80,000, while a Junipero Serra manuscript about the San Gabriel mission in California could fetch $40,000-45,000. 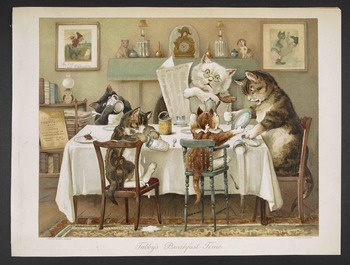 On Thursday, December 6, Swann Galleries sells Illustration Art, in 284 lots. Norman Rockwell’s “The Pharmacist,” for the March 18, 1939 issue of the Saturday Evening Post, could sell for $70,000-100,000. Much of interest here for those with an interest in Ludwig Bemelmans, Maurice Sendak, and others. Finally, on Friday, Books, Maps & Manuscripts are on tap at Stockholms Auktionsverk.